The universal VESA mount is designed so that it may stay mounted to the screen at all times for easy removal and replace on the fly. The mounting plate is pre-drilled to be compatible with both 100 x 100 and 200 x 200 VESA hole patterns. The soft touch adjustment knob and attached pin allow you to quickly adjust the height of the screen to the perfect viewing position. 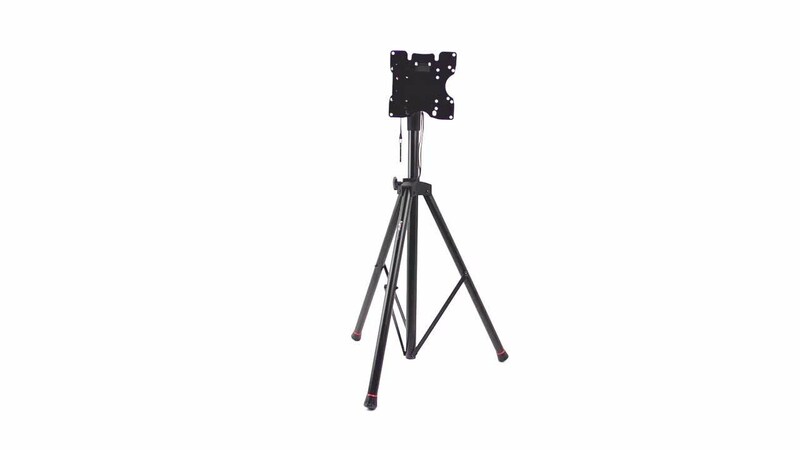 Your setup stays firmly planted by utilizing the built-in leg locks at the base of the stand. Simply fold into position once the tripod legs are extended for added stability and prevent toppling when screen is attached.